Never lose track of your progress in school again. Download the iOS App now. 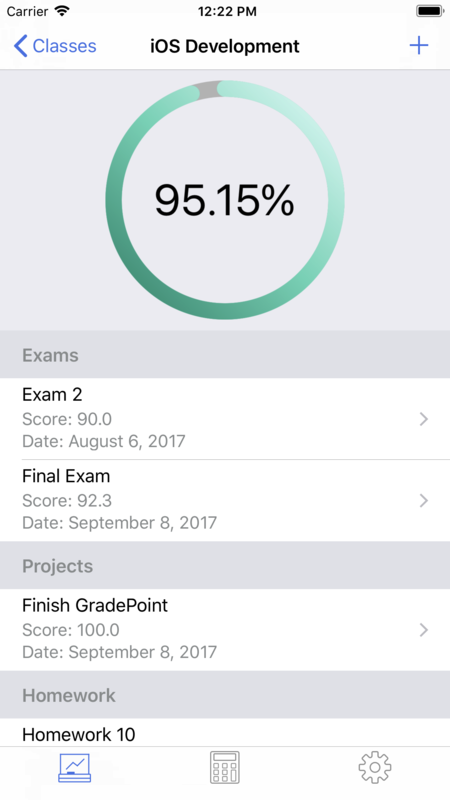 Seeing your grades and progress all in one application keeps you motiviated. 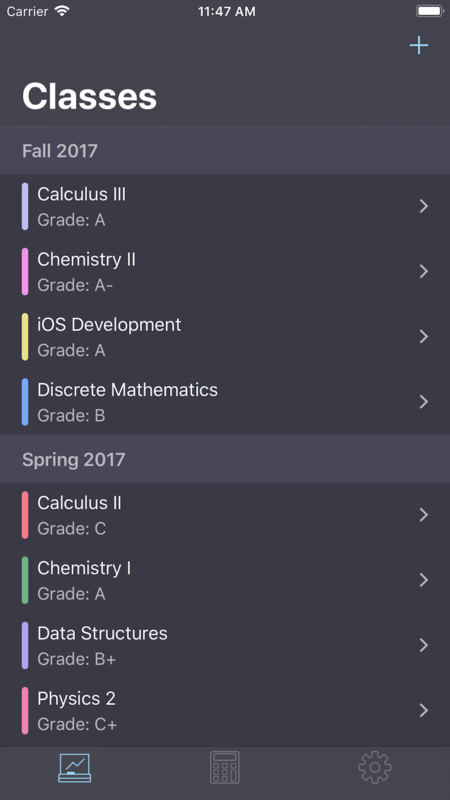 Get accurate and real time grade calculations for all your classes. No waiting around for your professor. Completely free. Now go buy a taco or something. Calculate your GPA and predict what score you would need on a final exam.